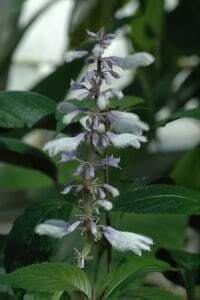 Mr. Siebert, is it still true that the Salvia divinorum available on the worldwide market is based on clones of an primordial plant from the Sierra Mazateca? Daniel Siebert: Live Salvia divinorum plants have been collected in the Mazatec region several times in the last few decades. These have been collected in various locations, so they might be different clones. However, since the Mazatecs always propagate the plant from cuttings (it almost never produces seeds), it is quite possible that many of these different collections are clonally identical. Most of the salvia being sold today is imported from Mexico, and much, if not most, of that is grown in the Mazatec region. Some is also being farmed commercially in other countries. 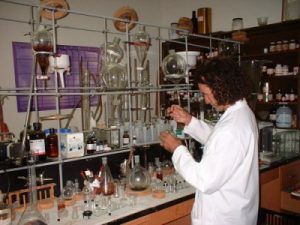 All cultivated Salvia divinorum plants originated from cuttings that were collected in the Mazatec region, since that is the only place where this species is traditionally cultivated. Whether or not it also occurs there as a truly wild plant has not been determined with certainty. There are populations in that region that appear wild, but these may be feral populations of plants that were deliberately planted in those locations in the past. The fact that the plant almost never produces seeds suggests that these populations are not truly wild. It may very well be that this species no longer exists anywhere in the wild. If that is the case, then it is entirely dependent on human beings to keep it from going completely extinct. Even if truly wild populations are identified in the future, it is likely that they would only exist in a very small geographic area. From an ecological perspective, this is a very rare plant. The fact that many countries are making Salvia divinorum illegal endangers the entire species. It is popular to post Salvia trips on Youtube. Most of the people seem to have an extraordinary experience. Are these sessions detained under the sensible conditions of set and setting? Most of the You Tube salvia videos show people using the herb carelessly and at excessively high doses. I am puzzled as to why anyone would want to post videos of themselves or their friends acting so foolishly. Not only are these people embarrassing themselves publicly, but they are also creating a negative impression of salvia, which plays right into the hands of people who would like to make it illegal. These videos typically show people trying to interact with the camera and other people in the room while they are on salvia. By doing that, they miss out on the most interesting and valuable aspect of salvia’s effects: the inner experience. It is important to use salvia at appropriate doses, in a peaceful environment, with adequate preparation, and with one’s attention directed inwardly during the experience. This is clearly not what people are doing in the You Tube videos. What type of taking type would you recommend? Chewing the leaves, smoking them, alcohol extraction of leaves or pure Salvinorin A? Personally, I prefer taking salvia orally, which is what the Mazatecs do. When taken orally, the effects develop more gradually and last considerably longer than is the case with smoking. That makes it easier to transition into the experience and gives one more time to explore it and make constructive use of it. The more gradual onset of effects also makes it possible to remember why one has taken salvia and what one wants to accomplish during the experience. This is especially important when one is taking salvia for serious self-exploration and inner work, which in my opinion is how it is best used. When taken orally, the peak effects usually last 45 minutes to 1.5 hours and then subside over another hour or so. In contrast, smoking produces effects that manifest very suddenly and only last 5 or 6 minutes before starting to subside. The sudden onset of effects is often very disorientating and the effects begin to fade before one is able to get a handle on what is happening. This is especially true when smoking strong extracts. However, some people find it difficult to obtain a desired level of effects when taking salvia orally. Those people may only be able to obtain a strong experience by smoking. Observing the public discussion about drug using their is a bias, the different types, qualities and contents of the experience of different drugs are neglected. The english word for the nice german „Rausch“ is „intoxication“. Would it be helpful to make good characterization of drug experiences despite of the fact that they are so individual? Generalizations can cause people to form inaccurate ideas about specific drugs. I see this happen frequently with Salvia divinorum. Because it produces visionary effects, people frequently call salvia a „hallucinogen,“ „psychedelic,“ or „entheogen.“ These are all appropriate as general terms for vision-inducing substances, but it is important to understand that salvia’s effects differ from all similarly categorized drugs. Unfortunately, people often transfer their preconceptions about other drugs on to salvia. Salvia is unique. And as what kind of experience type would you classify the salvia trip? I usually describe Salvia divinorum as a vision-inducing herb and salvinorin A as a vision-inducing diterpenoid. I try to avoid the terms „hallucinogen,“ „psychedelic,“ and „entheogen,“ mainly because those words tend to make people think of alkaloids such as LSD and psilocybin. Salvia trips vary in character, depending on set, setting, and dosage, but generally speaking, they are dream-like visionary experiences. There is a running discussion about the quality of these experiences. On the one hand, they are described as chaotic emissions of the brain, an unreal hallucination, on the other as valuable states of consciousness. Is there something like a trick to convert or translate the visions to common sense to be helpful in everyday life? Salvia provides access to parts of the psyche that are normally out of reach. For this reason, people often learn a lot about themselves during salvia trips. If one wants to gain insight from one’s salvia experiences, the most important thing to remember is to stay focused and pay attention. The images and scenes that appear are often meaningful. Sometimes the meaning is immediately apparent. But sometimes it does not become clear until afterwards, when the person has had time to reflect on the experience. It can be helpful to write an account of the experience shortly after the effects have subsided. Salvia is especially useful as a tool for gaining insight and clarity when one feels confused about one’s life path or relationships. But is it not possible that the insights in the own life are too overwhelming? So that one cannot get the message? Yes, that can happen. Often people are unable to make sense of the material that comes up during salvia experiences. This can happen for many reasons: lack of maturity, lack of metal focus, too many distractions, lack of preparation, lack of experience, etc. If you should compare the benefits of a salvia experience with other therapeutic options to learn more about the own self and its embedding in den social world, what would be your conclusion? And can one compare the danger of salvia-trips and other therapeutic options? I am not really qualified to answer this question because I don’t know much about psychotherapy or psychiatry. I do know that people often have profound insights during salvia experiences and that they often feel revitalized and mentally refreshed following such experiences. Certainly salvia can benefit many people, provided that the set, setting, and dosage are appropriate. But, I would not recommend it for everyone. Although it does seem to have a lot of potential, the use of salvia as a therapeutic tool has barely been studied at all. In an interview with Hans-Christian Dany, author of a worth reading book about amphetamin he mentioned that there can be good reasons to stay sober when the social-economic conditions are wrong. Dany was thinking about the capitalistic system in which drugs like speed contribute to hold up the control over people. Is this a worth-thinking-about argument for salvia consumption too? I don’t think social-economic conditions have much to do with weather or not a person chooses to use salvia. Salvia is not an escapist drug. Quite the contrary; it is a philosopher’s tool. It often motivates people to carefully examine their lives and make positive changes. Provided that it is used wisely and with adequate preparation, the occasional use of salvia does not compromise the ability to live a healthy, productive life, or to be a good member of society.